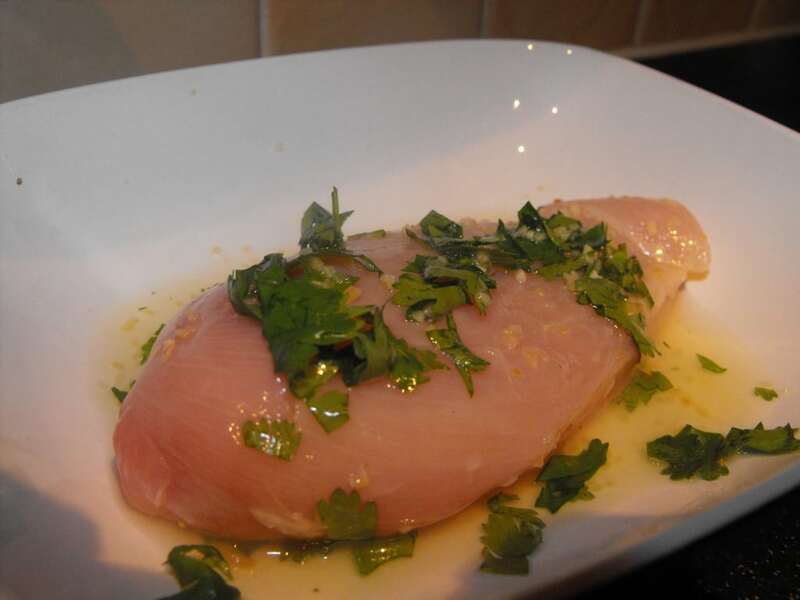 1) Put the chicken in a bowl with the juice of half the lemon, half the garlic and half the corriander and leave for 30 minutes. 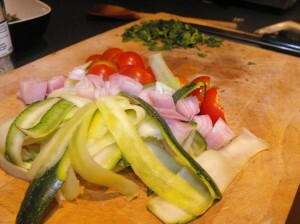 2) After 20 minutes, start cooking the brocolli (it will take 10 minutes). 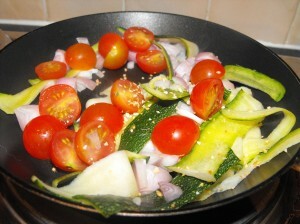 3) Heat a couple of sprays of fry-lite in a pan and add the vegetables and rest of the garlic and cook gently. 4) Make the couscous according to instructions (just pour water over it and leave in a pot until everything else is ready and it has soaked up the water). 5) Cook the chicken on a george foreman grill for 8 minutes. 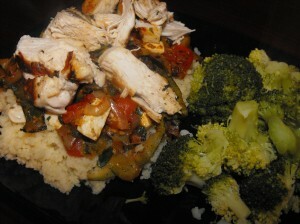 6) Take the vegetables off the heat, until a couple of minutes before the chicken is ready. 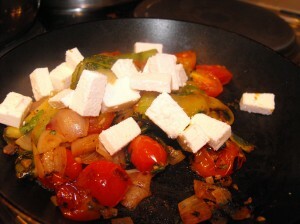 Then, add the feta, juice of the other half of the lemon and the rest of the corriander and stir.